Shedding off that extra weight depends heavily on your lifestyle and the sacrifices you are willing to make. A lot of people depend on their willpower as they journey through weight-loss instead of making the right lifestyle changes. Thus they end up in disappointments. There are lots of weight-loss diets which have helped a lot of people lose a substantial amount of weight over the years. Weight-loss diets such as the low-fat diets like the Pritikin and Ornish diets, low-carbohydrate diets such as the south beach and the Atkins diet, even the Mediterranean diet all have their special health benefits. 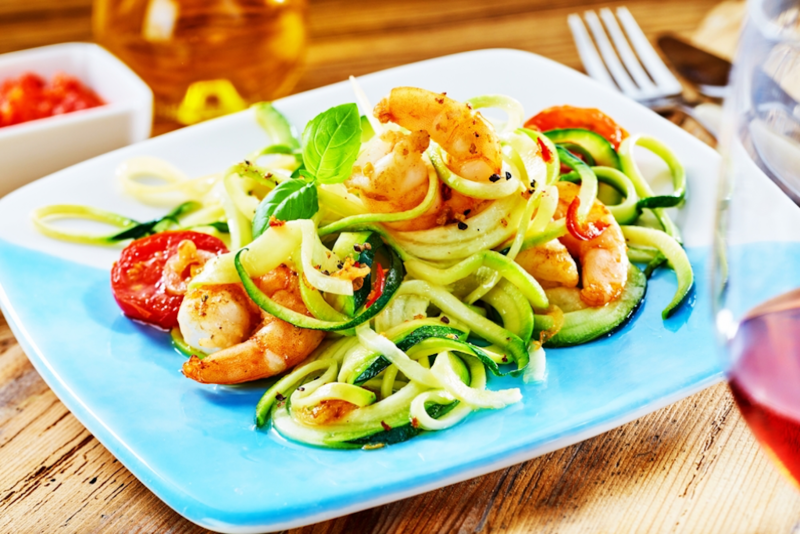 In this informative piece, you’ll discover different types of weight loss diet plan; this information will help you make the right choice of diet that would suit your lifestyle – you can also find them at https://www.tasteaholics.com. Let’s get started. The low-fat diet works on the fact that fatty food contains more calories than carbohydrate. Fat contains nine calories per gram, unlike carbs that have only 4. Thus, you can eat more carbs and have lesser calories. The diet is based on eating more carbohydrates especially from fruits and vegetables and avoiding fatty foods. The down part of this kind of diet is that you would get tired of eating just carbs. Foods that are mainly carbohydrates are less tasty and satisfying. Most people who go for this diet end up quitting after some time because mealtime becomes dull and uninteresting. Also, there are essential fats necessary for the proper functioning of the heart. Removing this fat from your diet will cause long-term health issues. The low-carbohydrate diet plan works on the principles of the effects of carbohydrates on blood sugar. Carbohydrates are known to increase the levels of blood sugar, thus increasing the production of insulin from the pancreas. It is also claimed that the high level of insulin production can lead to excessive hunger. This means that high carbohydrate consumption is directly proportional to the use of calories and hence, weight gain. This is great for severe weight-loss, but just like other types of diet plan has its short-comings. First, low-carbohydrate diet can cause dehydration. Your body is forced to make its carbohydrate from your muscles and the liver. The result is the rapid weight loss usually experienced. However, the body takes up so much water and can cause you always to be dehydrated. If this is not controlled, the weight loss process slows down and can even be reversed. The Mediterranean-style diet is a balance of both the low-fat and low-carb diet. This diet promotes the consumption of monounsaturated and polyunsaturated fats from food like olive oil, walnuts, fish, and even canola oil. The Mediterranean diets are also rich in carbs, but unlike the high-carb diets, the carbs are mostly from fiber-rich and unrefined foods. The Mediterranean diet is also rich in nuts, seeds. Legumes, fruits, and vegetables. Only small amount of meat and cheese is allowed. You can now make your choice of diet depending on what suits your lifestyle. It’s important you watch what you eat because it defines your overall health.